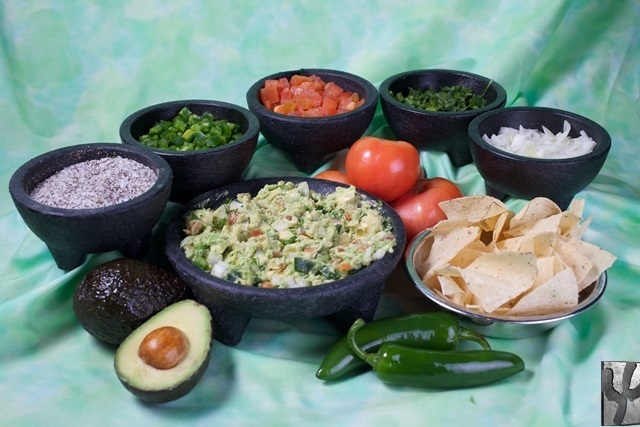 One free tableside guacamole only per table and/or party. May not be exchanged for cash. Cannot be combined with any other offer or used multiple times. First come, first serve. No rain checks. Iron Cactus is not responsible if unable to serve due to ingredients running out before end of day. Servers not required or responsible for informing guests of promotion. Dine-in only. Valid only on September 16, 2015. Additional restrictions may apply. Print or show this image to your Iron Cactus server on September 16th to get ONE FREE TABLESIDE GUACAMOLE! In Uncategorized, Food and Drink, Austin, San Antonio, Dallas, Deals, Social Media, Iron Cactus North Austin, Promotion Tagged margaritas, mexican restaurants dallas, mexican restaurants austin, mexican dishes, mexican restaurants san antonio, free dish, guacamole, mexican restaurant, free food, free guac, guacamole day, promotion, river walk Bookmark the permalink. Iron Cactus Mexican Grill & Margarita Bar is giving away one free tableside guacamole on National Guacamole Day, September 16th, per table and/or party only if the guest shows their server the official tableside guacamole photo from Iron Cactus’ Facebook page at www.facebook.com/ironcactusfan. Priced at $11.99, the free tableside guacamole is made fresh right at the guest’s table using only the finest ingredients. Guests may only avail of one free tableside guacamole per table and/or party if the guest shows the official Facebook photo. It may not be redeemed in exchange for cash and must be used at the time of visit. It may not be combined with any other offer or used multiple times. It is only valid for lunch or dinner on September 16, 2014. Additional restrictions may apply. Guests are encouraged to share photos of their free tableside guacamole on their social networks and hashtag #ironcactusguacaholics. Iron Cactus serves contemporary Mexican dishes and premium, award-winning handcrafted margaritas. The original restaurant opened on historic 6th Street in downtown Austin in 1996. Since then, Iron Cactus has grown to five locations including restaurants in downtown Dallas, San Antonio River Walk and two additional Austin-area locations in North Austin and Hill Country Galleria. You can find Iron Cactus on Facebook , Twitter, Instagram, Pinterest and Google+ . More information about Iron Cactus can be found at www.ironcactus.com. In Austin, San Antonio, Dallas, Deals, Social Media Tagged Facebook, free dish, guacamole Bookmark the permalink.